Moondance Cabin - Cozy & Romantic on Sparkling Cypress Creek. ALL PETS WELCOME! Creekside 1 Bedroom Log Cabin. King Bed & Sleeper Sofa. Accommodates 4. ABUNDANCE awaits you at Abundance Retreat's Moondance Cabin! Check out our wonderful videos on OUR website. Simply search "Abundance Retreat Wimberley." Moondance Cabin is one of our two ADULTS ONLY lodgings at ABUNDANCE RETREAT. It is a peaceful, year-round sanctuary for pets and their people - or just their people. We have so many special touches that delight - from our hand-crafted furniture made by local artisans to a sink carved from a river boulder to labels throughout so you can feel right at home. Please read our exceptional reviews. We have been welcoming visitors and exceeding their expectations since 2004. Located on sparkling Cypress Creek and just a walk to historic Wimberley Square, MOONDANCE CABIN promises to romance you with it's knotty pine interior, hand crafted furniture and wood-burning stove. Moondance Cabin is 800 sq. ft. and features the Full Moon Suite with a roomy and charming sleeping/living area appointed with golden knotty-pine walls, a hand crafted king-size bed, a leather pull-out queen sleeper sofa, a wood-burning stove and a Texas native stone hearth. Midnight blues and creamy whites capture the romance of a moonlit sky. Your cares will melt away in Moondance's over-sized soaking tub for 2 and private cedar sauna. Moondance has a full kitchen with rustic custom pine cabinetry. Hello! Nice to meet you! That's me, Tina, on the right and my lovely wife of 29 years, Shellye, on the left. We're holding 2 of 'our boys' - - I'm holding Mahoney and Shellye's holding Elvis. Our other doxies, Mini Cooper and Clarence, are not pictured. I'm originally from Escanaba, Michigan and Shellye is originally from Houston. We love to share Abundance with others that share a love for being surrounded by nature while sitting in the lap of LUXURY with your animal family members!!! Abundance Retreat is truly distinctive -- from its outstanding location to the quality and love we put into our home for you to how we care for you, our guests. See more on this in the "unique benefits" section below. After over 14 years of operating, we find that people come to Abundance to get away, have fun, or enjoy a special gathering. They find so much more than that -- they find joy in the nature and beauty -- in the life -- that surrounds them. They find peace in connecting with the earth, with the sky, with the creek, with the deer, with each other and with themselves. They find creativity in our homes and property and also around Wimberley. And they find inspiration. These are the things we hear from guests. We encourage you to read our reviews. We are within 1/4 mile walk of the Wimberley Downtown square, but it feels like we are out in the country since we are on a beautiful, sparking creek across from a nature preserve. Wildlife abounds. Wimberley is a quaint, Texas Hill Country town with great restaurants, galleries, shops and music. Sparkling Cypress Creek runs through the center of town and along side our property. Sparkling, spring-fed Cypress Creek runs through our backyard! We are actually "Creek Front" -- not lake front -- but VRBO doesn't have a filter for that. See comments under "waterfront." Sparkling, spring-fed Cypress Creek runs through our backyard! We are 1/4 mile downstream from the famous Blue Hole swimming hole on Cypress Creek, known for its beauty and continual flow. Wood burning stove in main area of the cabin. Living area is shared with bedroom and dining area. The dining area is shared with the living room and bedroom area. WE LOVE GAMES so there are lots of them! For pups!!!! LOTS of THEM! The biggest 'amenity' of Abundance Retreat's Moondance Cabin is NATURE! You will be surrounded by wildlife - deer, squirrels, birds, creek creatures, and more. We love just sitting back and relaxing and enjoying the peace and quiet of our property. We love the rustic log cabin vibe and dog friendly arrangements. Although we didn't bring ours this time, this place tops our list on where we would consider taking them. We slept like babies, cooked out, went canoeing and mostly relaxed. Close to downtown shops and dining if you feel like getting out but the cabin and the patio are equipped with everything you need for hiding out. We enjoyed our stay immensely and the owners were most hospitable and accommodating. The whole process was easy and stress-free and we are definitely thinking of coming back when the water is a little warmer. Thanks for a great stay! Thanks so much for the great review. We agree with you re: that even though we are close to pretty much everything in Wimberley, it's so hard to leave Abundance! We had a wonderful experience at this property. Just the getaway we needed for our anniversary. Clean property. Responsive owners. Was fabulous all around. Dear Afton, I'm so glad that you had a wonderful time at Abundance! Many of our guests celebrate special occasions. I hope that you return for another one! 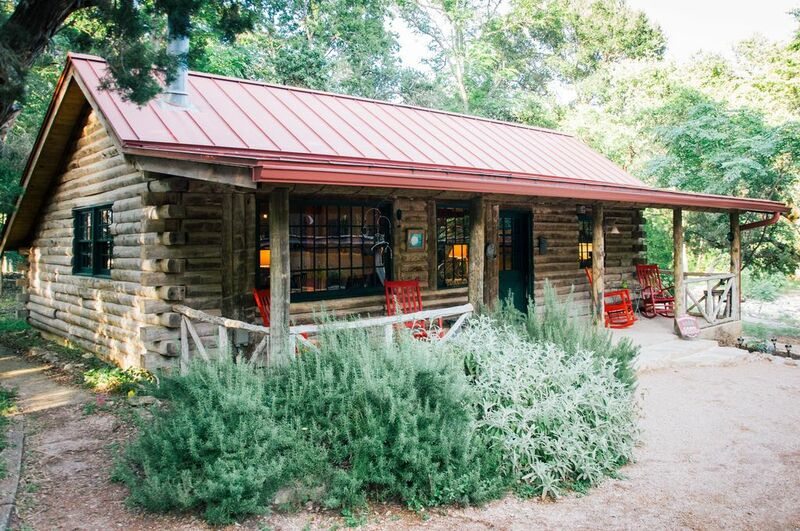 We found the cabin to be a quiet respite from the busy and hectic pace of Houston. I can't think of anything that needed attention. Everything was in good working order. Our dog got his first look at the numerous deer that stopped by the cabin property. He did not quite know what to think of them. We tried a couple of the restaurants you suggested and found them to be enjoyable. We ordered take-out for our evening meals and dined in at the cabin. What I liked best other than being quiet and peaceful was the cabin wasn't too small or cramped nor was it larger than we needed. A perfect get-a-way for a couple and their dog. The WIFI and TV worked fine. This is a great place to unplug and disconnect if you so desire... and we did! Moondance is the perfect location to explore Wimberly. The cozy cabin was a great homey base for our girls getaway. They have a well stocked kitchen. The porch is a relaxing place to enjoy a glass of wine and watch the deer. Quaint and cozy place. It was very relaxing. Loved the porch area and the wildlife was great to see. I highly recommend this place for a quick getaway. It is near the shops and restaurants. It is a short drive to driftwood for the breweries and wineries. It is pet friendly. Loved the treats that were left for our little fur baby and the good luck charm for us. The kind gesture of the wine for our anniversary and the note from the host was very sweet. We were also able to take a peek inside the Sundance house which was beautiful and felt cozy. There were cute little notes everywhere and directions as well. A small walk to the creek as well. Also it was stocked up with toiletries. I highly recommend the Abundance Retreat for a relaxing get away. Thanks so much for the lovely review, Kristie! We look forward to your return! our stay at Moondance was really fun and very peaceful. it is a perfect place to spend time away from the city. The cabin is very clean and well organized.